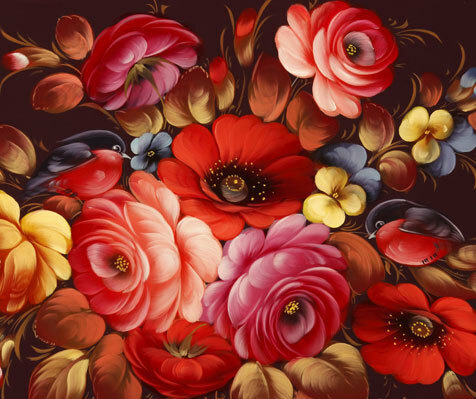 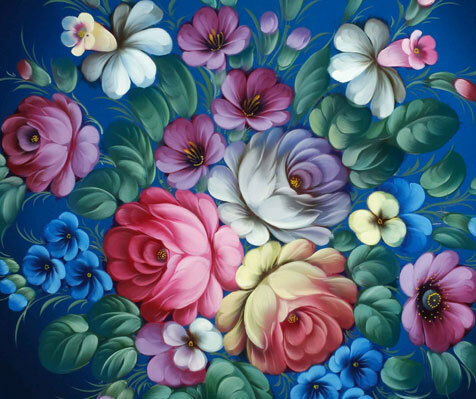 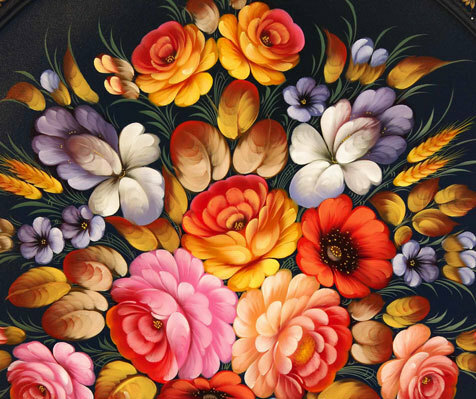 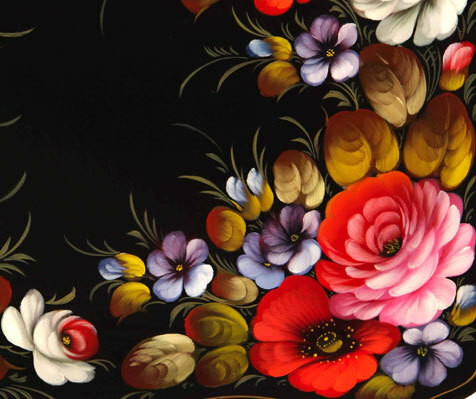 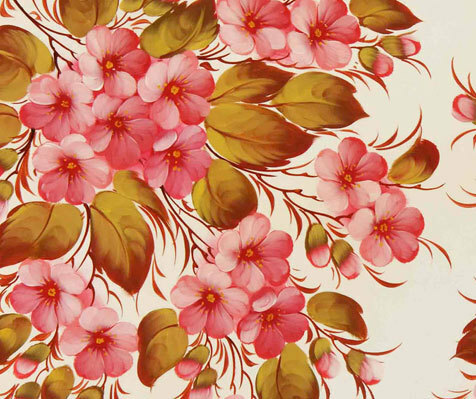 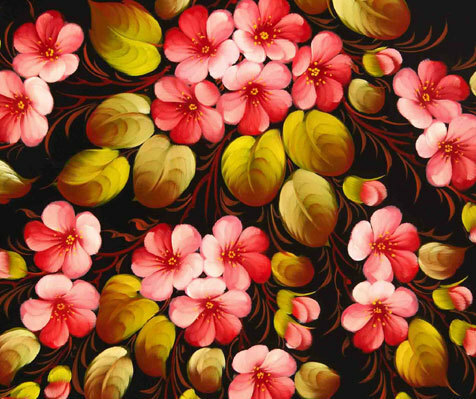 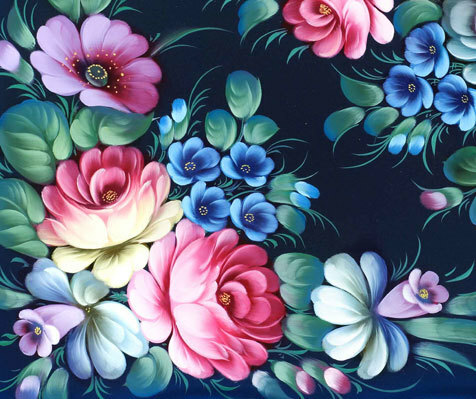 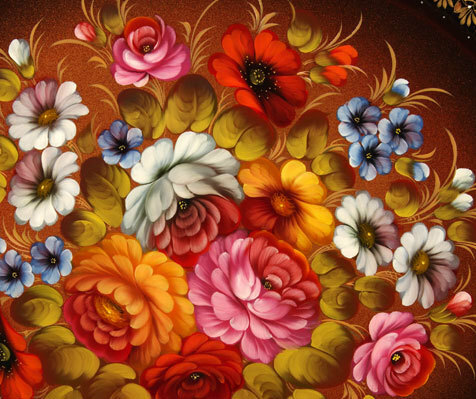 Olga was born in the Sorokino village of the Moscow region and joined the team of the Zhostovo Factory painters in 1979. 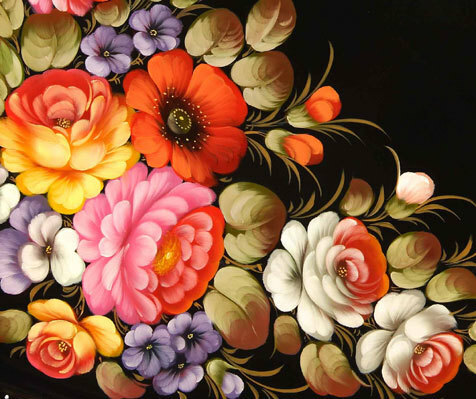 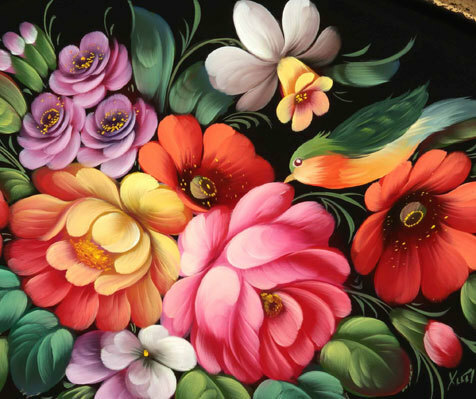 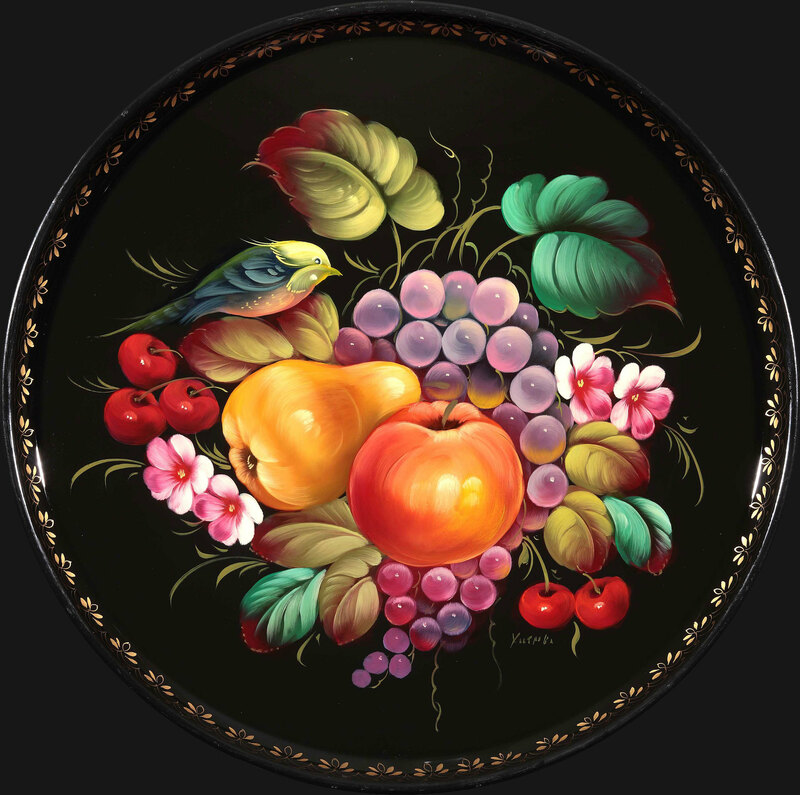 She performs traditional Zhostovo decorative painting with broad interchanging soft and sharp brush strokes. 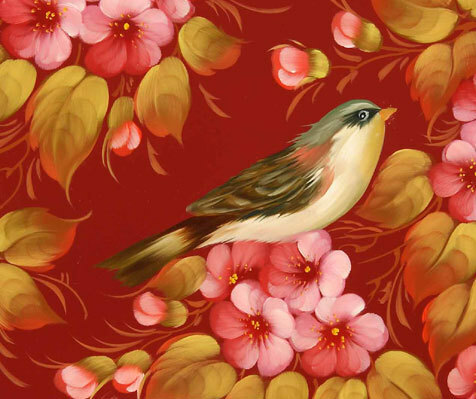 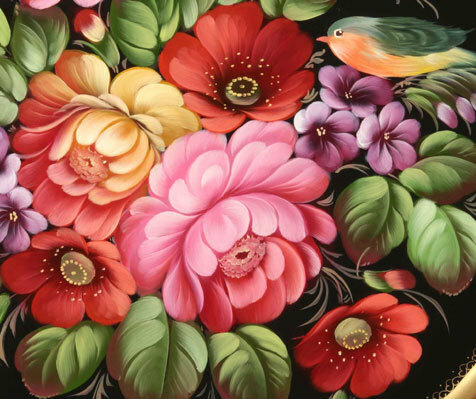 Her artwork always features little amusing birds – bullfinches and paruses. 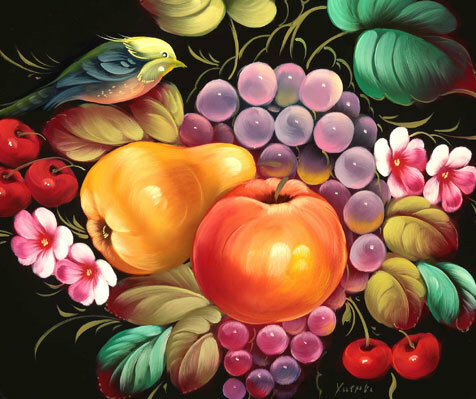 Another signature image of this artist is gorgeous rowan berries framed with golden leaves in the middle of flower compositions.